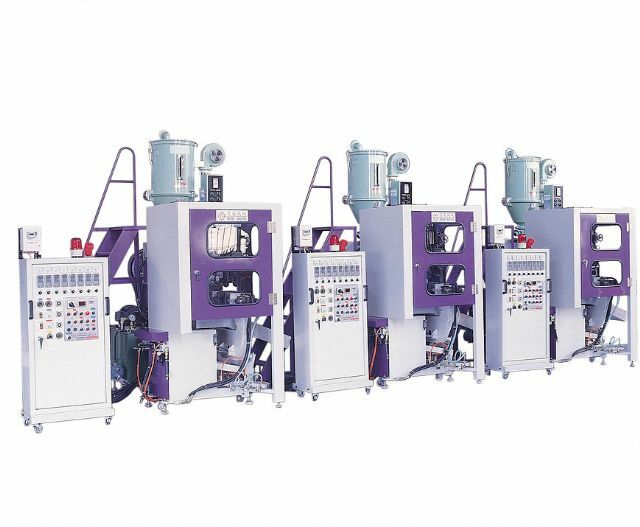 Andor Machinery Works Co., Ltd.
Andor’s ADM-B40DG blow molding machine (photo courtesy of Andor). 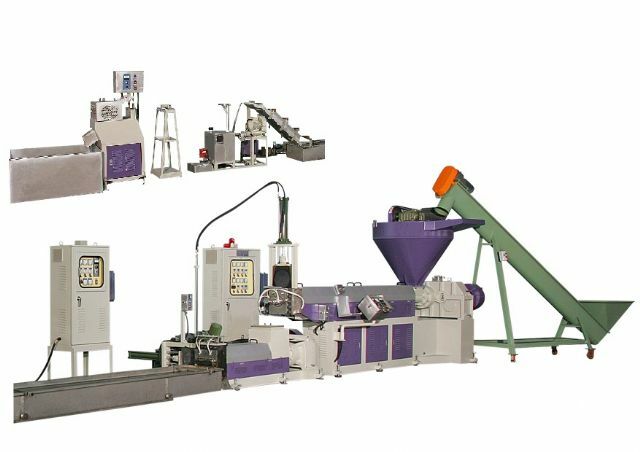 With a history of nearly 30 years, Andor Machinery Works Co., Ltd. is an experienced, professional manufacturer of blow molding machines, extruders, blown film machines and recycling equipment. Backed by decades-long expertise and a skilled R&D team, Andor designs and develops the said machine models, as well as whole-plant and turnkey solutions, to address market demand for high efficiency, performance and quality, hence having been reputed by customers from all over the world as a competent, trustworthy supplier in the line. Among its hot-sellers, the ADM-B40DG is a high-profile blow molding machine for cranking out PETG media bottles. This double die-head machine is built with a die head unit with extruding mouth outer diameter of 30mm, extruders that feature screws with a diameter of 40mm, screw L/D ratio of 23 and 5-hp main drive motors, and mold clamping unit with clamping force of 1.2 tonne. With the specifications mentioned above, the fully automated, high-speed machine can turn out two 150c.c. bottles at once with consistent quality but without burrs. Moreover, it highlights comparatively low power consumption, and adopts a user-friendly HMI with a 5-inch monochrome LCD screen for ease of operation. Committed to continuous improvement and customer satisfaction, Andor aspires to help customers stay ahead of the competition in their markets with its high-quality, high-performance machines. Blow molding and blown film machines besides, Andor is also noted for supplying high-performance recycling equipment (photo courtesy of Andor).